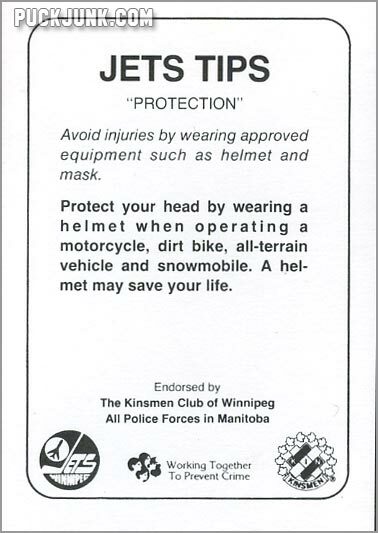 The 1985-86 Winnipeg Jets Police Safety Tips set is comprised of 24 cards that were issued in 12 two-card panels. 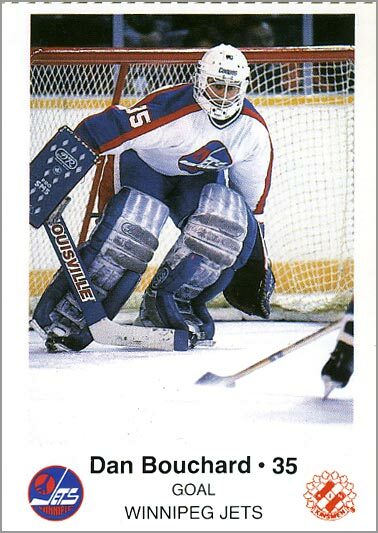 These cards are also a bit taller and a bit wider than your standard hockey card. 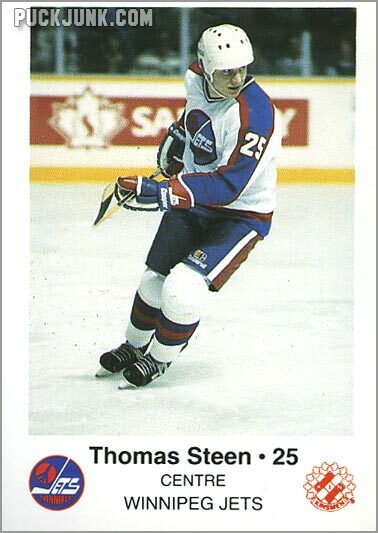 The thing that I enjoy so much about these “team issue” sets is that they feature many players who did not get a Topps or O-Pee-Chee card in a given year. 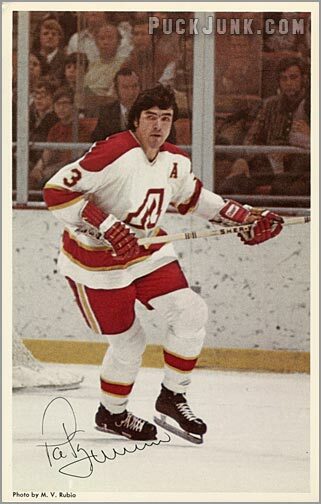 This set not only has cards of lesser known players – it has a few cards of guys that lasted nary a season. 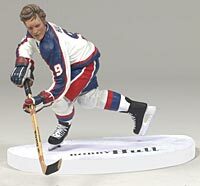 Since it’s a team issue, this set is pretty comprehensive. 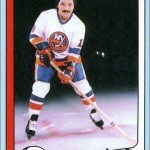 You get 21 player cards, including team mainstays like Dale Hawerchuk, Randy Carlyle, Thomas Steen, and Brian Hayward. 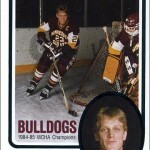 There’s also a team photo card, a card featuring the coaches and a card of General Manager John B. Ferguson. The card fronts have a very basic design. 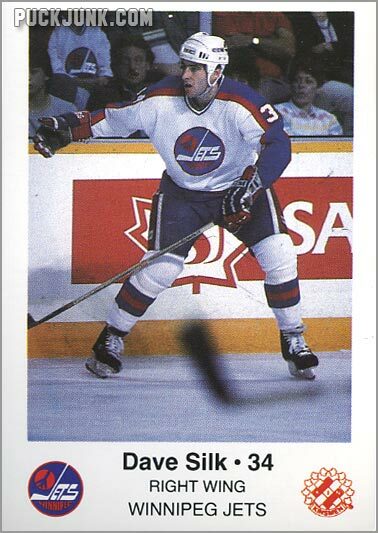 One nice thing about these cards is that game-action player photos are used instead of static portrait shots. 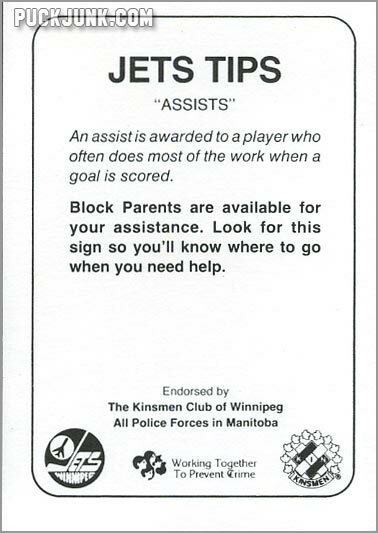 Under the player photo are logos for the Jets and the Kinsman Club of Winnipeg – the sponsors of the set. 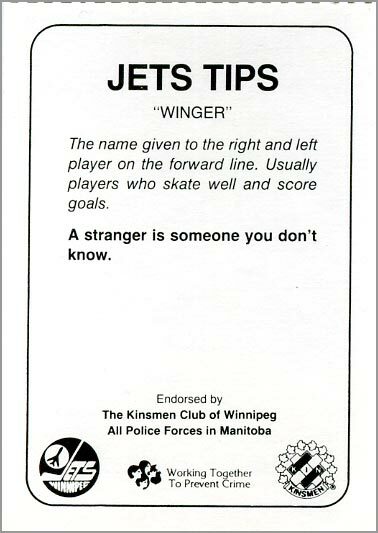 There’s also the player’s name, number and position as well as the words “Winnipeg Jets”…which tips us off in case we don’t notice the Jets’ logo or the fact that the player is wearing a Jets uniform. Sure, it’s redundant. But it’s a police set, so design seems to be an afterthought on a lot of these types of sets. None. 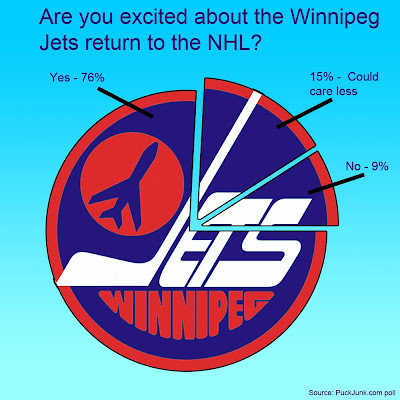 Well, no statistics. 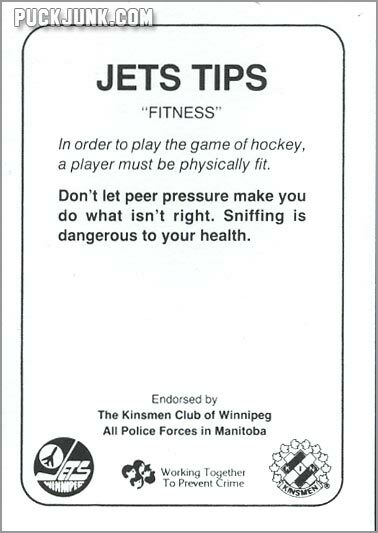 But the back of each card has information in the form of “Jets Tips”, where it pairs a hockey term with a safety tip. 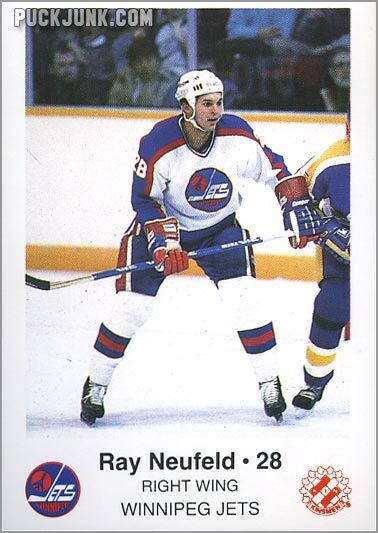 The back of Ray Neufeld’s card. 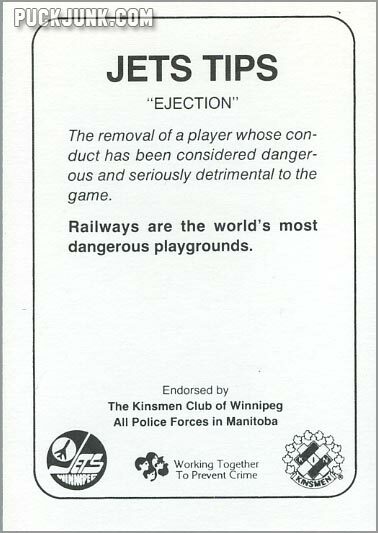 Notice that it has nothing to do with the player. A player is offside if he advances over the opponent’s blue line before the puck. Offside is like trespassing. Don’t go onto other people’s property unless invited. Offside is like trespassing. 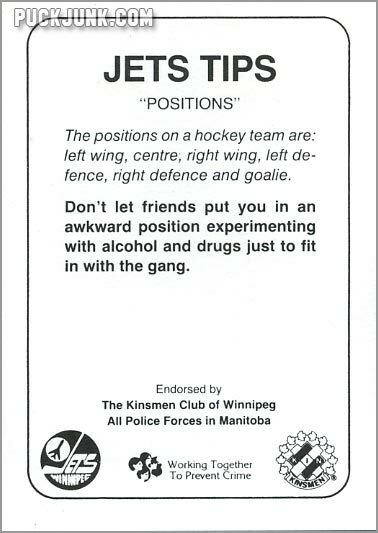 Don’t go onto other people’s property before the puck. 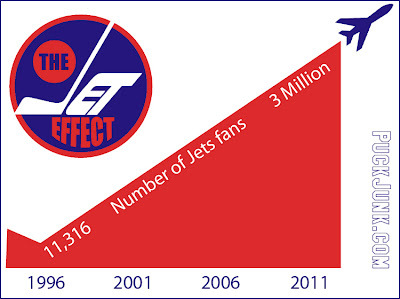 Not a bad set if you are a Jets fan – and there’s got to be a few of you still remaining. 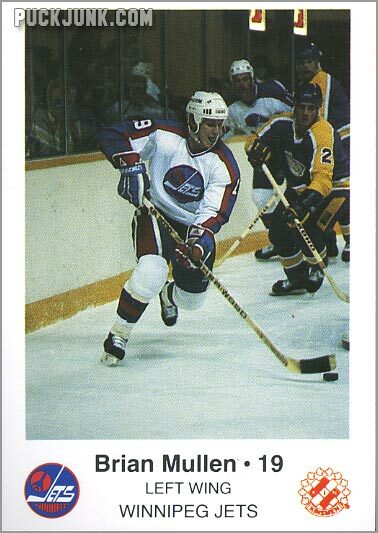 The good player selection and nice game action photography in this card set more than make up for the otherwise ho-hum design. 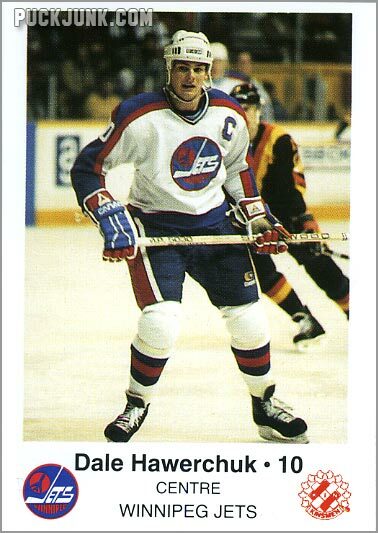 In no particular order, here are five cards from this set that I find interesting.